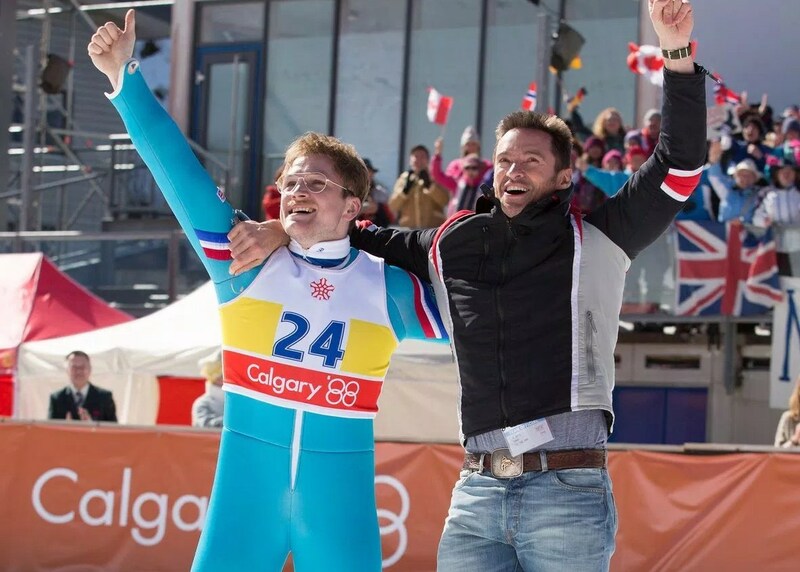 Synopsis: A feel-good story about Michael “Eddie” Edwards, an unlikely but courageous British ski-jumper who never stopped believing in himself – even as an entire nation was counting him out. With the help of a rebellious and charismatic coach, Eddie takes on the establishment and wins the hearts of sports fans around the world by making an improbable and historic showing at the 1988 Calgary Winter Olympics. Director Dexter Fletcher [Sunshine on Leith (2013), Wild Bill (2011)] brings an unapologetic, feel-good, inspirational biopic about Michael ‘Eddie’ Edwards, the notoriously tenacious British underdog ski jumper who charmed the world at the 1988 Winter Olympics. With a stellar central performance from Taron Egerton [Kingsman: The Secret Service (2014), Legend (2015), Testament of Youth (2014)] as Eddie, the story follows him from his earliest days as an eager young boy who dreams of going to the Olympics. It charts his progress through many setbacks, with all the people around him predicting only a future of failure – including his father Terry (Keith Allen); but this is balanced by occasions when he gets help at just the right moment. Hugh Jackman [X-Men Days of Future Past (2014), The Wolverine (2013), Prisoners (2013), Les Miserables (2012)] adds humour as coach Bronson Peary who helps Eddie to achieve his dream whilst dealing with his own demons. Christopher Walken also makes a surprise appearance as Warren Sharp. Despite the humour at Eddie’s expense, it can’t be forgotten that this underdog became the first ski jumper to represent Great Britain in Olympic ski jumping, while simultaneously holding world records in speed skiing – all in the face British ski jumping’s all facing snobbery and lack of funding. An inspiring and entertaining feel-good film with strong ensemble playing.